The design process of a healthcare facility involves many different disciplines.There are several areas that deserve the utmost attention. Perhaps most urgent is the aspect of hygiene. With rising levels of infection, it must be considered in every aspect of the design. Another facet of critical importance is aesthetic design. 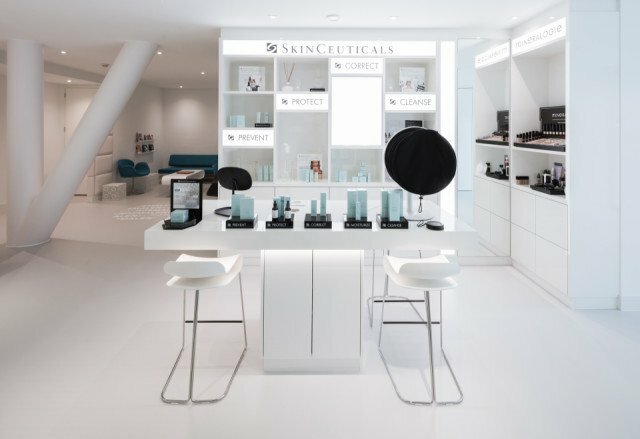 As hospitals and clinics seek to improve the health of their patients, the physical appearance and atmosphere of the environment must be considered as a key principle in providing comfort for the individual. At Bolidt we specialize in healthcare flooring. We believe it has everything to do with hygiene as well as the interior design. In terms of both hygiene and design, it lays the foundation and is thus fundamental to a healthy environment. The floor is the largest surface area in a hospital. With spillages and general bacterial growth, it’s also the largest area for contamination. Thus, it deserves earnest attention. The choice of flooring can habilitate the optimum hygiene. The Bolidtop® series provide flooring systems that serve healthcare facilities to the highest standard. Their thermosetting quality means they are absolutely pore-free. This leaves no space for the growth of bacteria and makes the surface particularly easy to clean. This property also allows for seamless connections between the flooring and the walls. 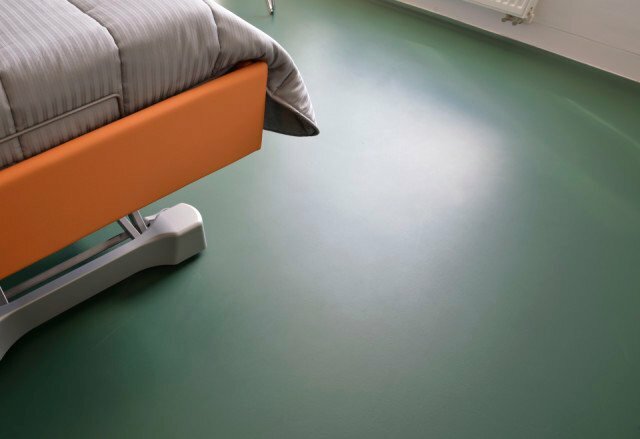 Another indispensable factor of Bolidt flooring in healthcare is its durability. It is impermeable and scratch resistant, which equals a lack of hiding places for bacteria. Bolidtop® 700 can withstand a weight of 600 kilograms per square centimeter. Any healthcare facility likely undergoes intense cleaning schedules with heavy disinfectants. Bolidt flooring is chemically resistant to chlorine solutions, iodine stains, gassing processes, and other common cleaning agents used in the industry. 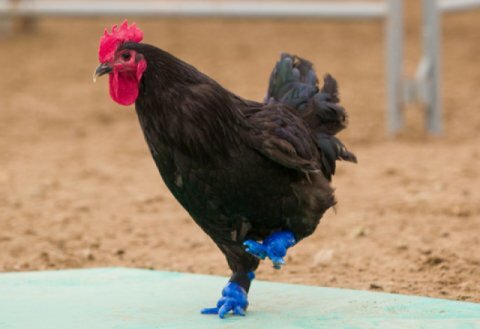 Developed with hygiene in mind, there is also the option of an antimicrobial layer. Bolidtop® 525 AM uses patented technology to eliminate bacteria on contact. 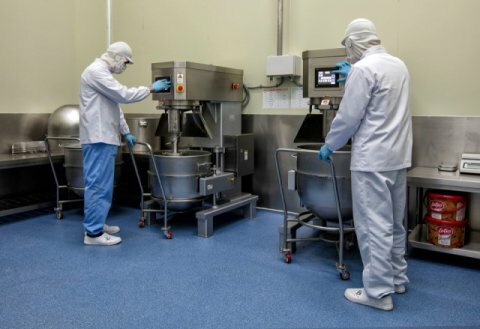 Micro-bacteriological studies have shown that microorganisms such as salmonella typimurium and Methicillin-resistant Staphylococcus aureus (MRSA) cannot thrive or reproduce on Bolidtop® flooring systems. 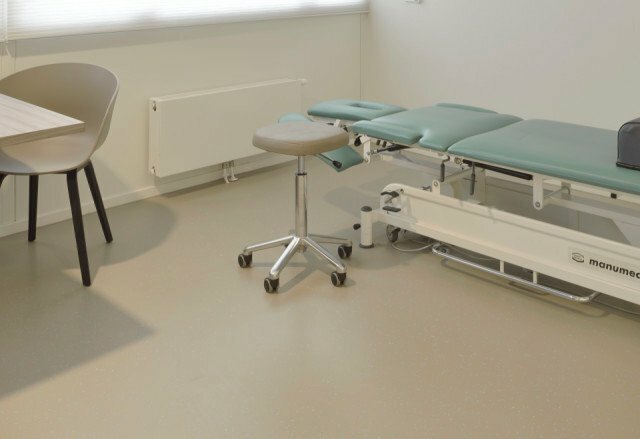 In this way, Bolidt flooring contributes substantially the the overall hygiene of healthcare facilities. Traditionally, hospitals follow an impersonal, institutional theme that many associate with anxiety and discomfort. However, a trending theme in conventional healthcare is a patient-centered approach. 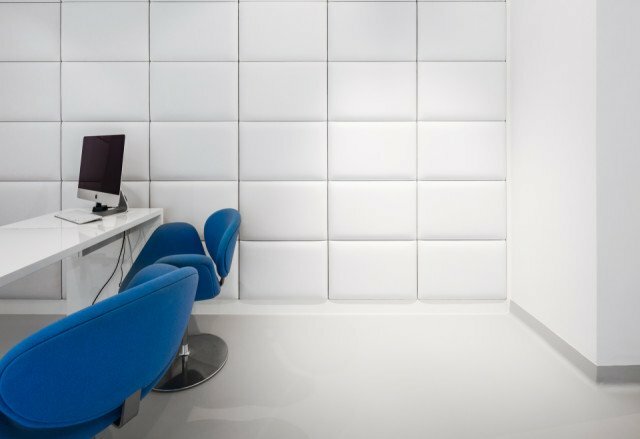 Evidence-Based Design (EBD) stems from Evidence-Based Medicine and, based on scientific research, makes a link between specific environmental factors and efficiency, safety or well-being.Through careful consideration of colours, furniture, lighting and other elements, patients are made to feel at-home. The arrangement of furniture can offer a relaxing space that enables social interaction. Clear directions can also give a sense of comfort and control to patients staying in large facilities. A simple design theme can counteract the standard clinical setting of hospitals and work as a positive distraction. Flooring is one element of design not to be overlooked in regards to its influence on patients and employees. Across the field, Bolidtop® FiftyFifty has been used to add character to healthcare centers. The mixing of two liquid colours brings together an appealing glimmer. Bolidt can also incorporate custom designs into the flooring, the design possibilities are endless. Paired with an overall design theme, the floor has the ability to create an atmosphere of comfort and ease. Due to the impermeable, scratch-resistance nature of Bolidt flooring, designs will stay perfectly intact for decades. 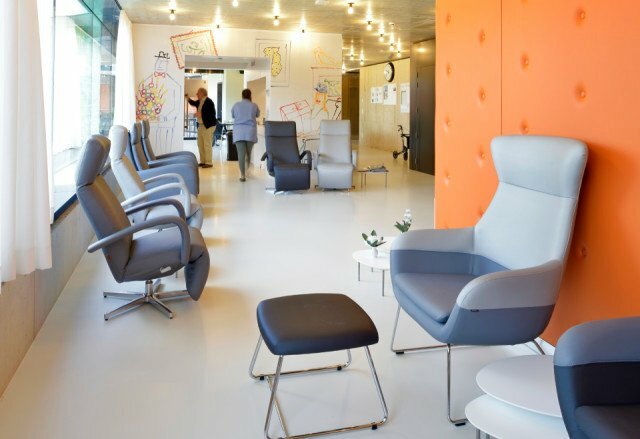 To hear more about how the Bolidtop® series serves healthcare through design, see our flooring advice. Naturally, safety comes hand-in-hand with a feeling of comfort and control. The floor has the highest level of interaction with patients and employees of any surface area. Thus, it’s absolutely vital that it performs well. Depending on the area, there are several protocols available with Bolidt flooring that ensure safety. In a wet cell for instance, a finish with enhanced grip is ideal. Whilst for a space that deals with sensitive equipment and machinery, there is a conductive floor option that prevents problems with ESD. For any area with foot traffic it’s important the floor is anti-slip to avoid unnecessary falls. For patients walking barefoot, the surface is skid-resistant and comfortable to the touch. 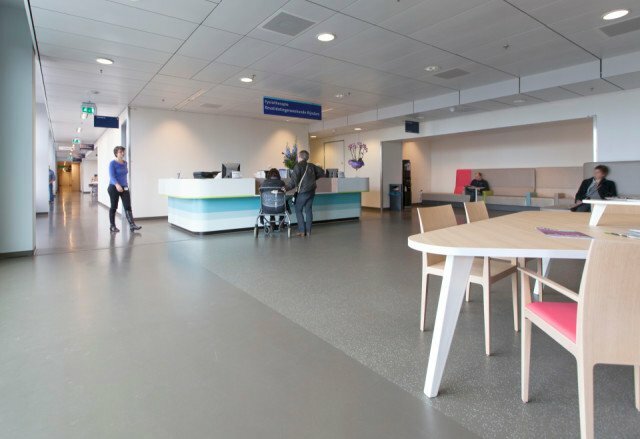 With Bolidt, the flooring in healthcare is opened up to a whole realm of opportunities to enhance the environment. Whether it’s aesthetically or practically, we are certain that we have a flooring solution that fits every need of the healthcare sector. 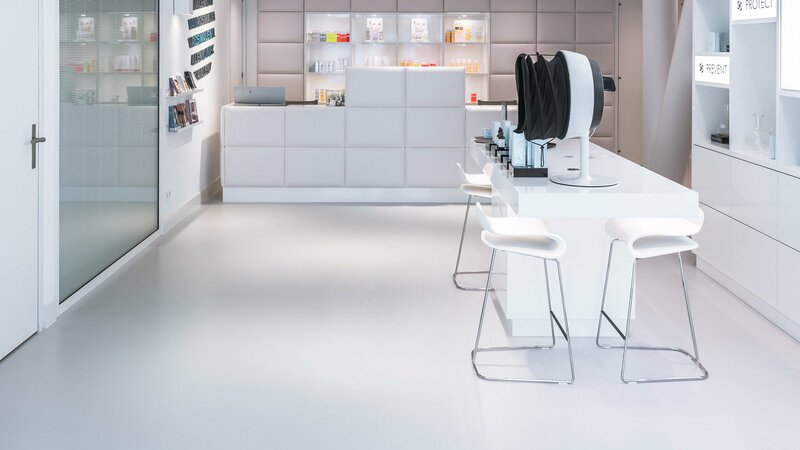 To find more information, please see our advice for healthcare flooring.